It seems the big bank and financial data aggregator battle has just begun. Last week, JPMorgan Chase and Wells Fargo started that data battle between a string of popular websites designed to help people better manage their money. The banks are cracking down with sharing their customer data, and have been reportedly “snarling the flow” of data to such sites. Now, Bank of America joins the list of big banks that are joining the fight. 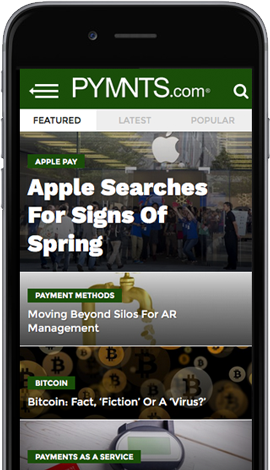 The Wall Street Journal reported yesterday that BoA has cut off data to some sites and mobile apps that rely on that data to provide consumers with money management strategies. This move of another major bank only highlights the strain between Wall Street and the influx of growing tech firms that provide consumers with the financial services that track their data. Banks have gone as far as discouraging their customers from seeking the assistance of these services. “This is a shot across the bow from banks,” Michael Kitces, director of planning research at Pinnacle Advisory Group Inc., told WSJ. Despite big banks’ views on these data aggregators, consumers seem to be drawn to the non-traditional financial services. For example, as WSJ reports, Mint.com has increased its users by six times to more than 20 million in five years time. But from the bank perspective, they have argued that these sites don’t have the same safeguards in protecting their customers’ financial data and suggest that they pose threats to their account security. The banks argue that they have the right to control the flow of their customers’ data. Just in the last few weeks alone, both Chase and Wells have restricted Mint (an online aggregator) customers from accessing their bank account information for at least several days. Mint, like many other similar sites, advertises itself as a sort of one-stop shop for the entirety of a consumer’s financial data. After registration (which usually requires coughing up passwords and other logins for their various financial accounts), the site then collects all that data, aggregates it and makes financial planning suggestions. And while these sites are not new, the mainstream banks complain they are reproducing exponentially and ever-widening the slate of services on offer. The recent flare-up came about when JPMC throttled Mint’s access to its site because it claimed its systems were being flooded by Mint requests during an otherwise high-traffic time. The throttle, the bank maintains, was a technical issue, not “a shot across the bow” to prove it could. Meanwhile, banks are also taking their case to the regulators. In what has got to be one of the few voluntary meetings he’s ever had with a big bank’s CEO, CFPB Director Richard Cordray and JPMC CEO James Dimon recently took a meeting on the matter. Bank of America’s involvement in the issue stems back months, as the bank cut off two aggregators back in July, sources told WSJ. “Who are they to say I can’t view them over here?” he questioned. This continued bank-aggregator battle has led a banking-industry group to create guidelines for those financial aggregators to abide to in order to calm down tensions. That set of recommendations is reportedly being prepared for release this month.